This is a curved rectangular Acorn Stoves and Ranges porcelain sign. This particular Acorn Stoves and Ranges sign features a green and orange acorn on a white background. 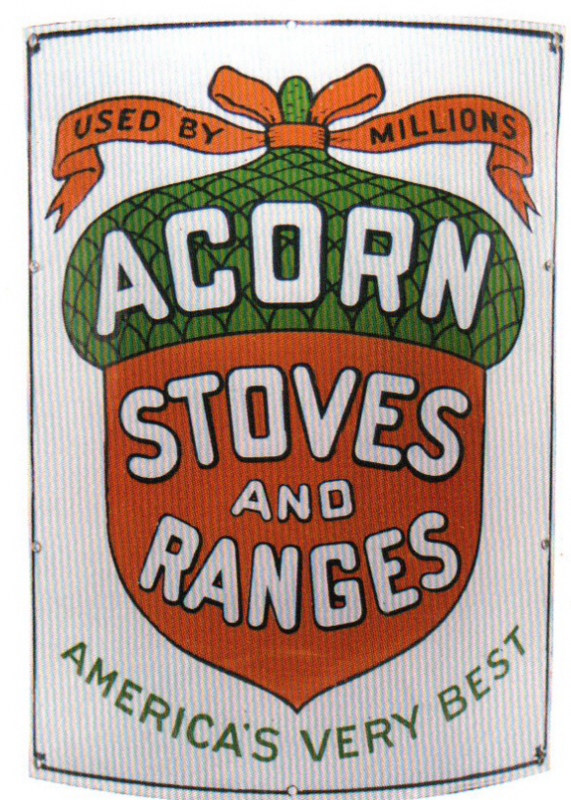 It reads, “Acorn Stoves and Ranges, Used By Millions, America’s Very Best”.